WASHINGTON — Senior Trump administration officials Thursday said "the door is wide open" to more talks with North Korea after last month's high-level talks in Hanoi failed to reach a nuclear agreement. 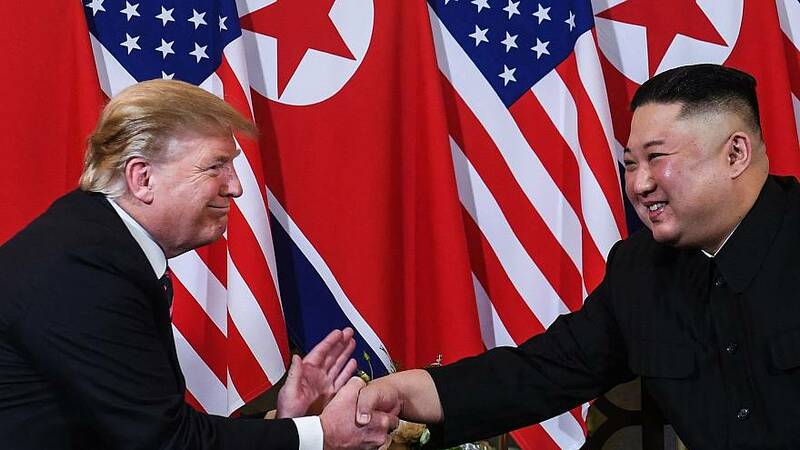 The officials told reporters that President Trump remains "personally engaged" and also wants contacts to occur on the working level, although they wouldn't disclose whether any such contacts have occurred since the summit between the president and North Korean leader Kim Jong Un. Officials said the U.S. is working to tighten pressure on North Korea to "unprecedented" levels by better enforcing sanctions and other economic measures against the North. "This is a new approach," one senior official said. "You've had piecemeal sanctions over the years." Tougher pressure, combined with Trump's willingness to sit down with Kim to discuss North Korea's future, will hopefully lead North Korea to decide to denuclearize, the officials say. "We'll give it some time," said one official. The officials said there's no been change to Trump's diplomatic approach and that any suggestion that the U.S. was open to a phased approach in which some sanctions would be lifted before denuclearization was a "misinterpretation." But asked about Trump's own comments in Hanoi that he didn't want to box himself in on that issue, the officials said that they, too, didn't want to box the president in. The U.S. sees an increasing problem with illicit shipping by North Korea in violation of U.S. and U.N. sanction, including ship-to-ship transfers at sea, the disabling of automated ship identification systems, falsification of cargo documentation, and North Korean coal exports that have resumed in the Gulf of Tonkin. On Thursday, the Treasury Department slapped sanctions on two shipping company for trying to evade North Korea sanctions. These are the first sanctions since Hanoi. The Treasury today also issued a new advisory warning about these practices. Additional companies are "at risk" and will be punished if caught, the officials said.